A local program is giving African-American males in District 196 unique opportunities to explore careers in fields from law enforcement and criminal justice to marketing and wildlife conservation. The Tazel Institute initiative provides students positive exposures to black males in leadership roles. Founder Leon Tazel started his namesake institute five years ago and launched the program in 2015. It has continued to grow and now includes students from all four District 196 high schools and two high schools in Saint Paul Public Schools. Tazel has made numerous connections with businesses and organizations around the state, providing students with a myriad of career paths to consider. Since the start of the school year, students visited Winona State University, Hennepin Health Care, Nexstar, and most recently, the U.S. Fish and Wildlife Twin Cities Ecological Services Field Office in Bloomington. 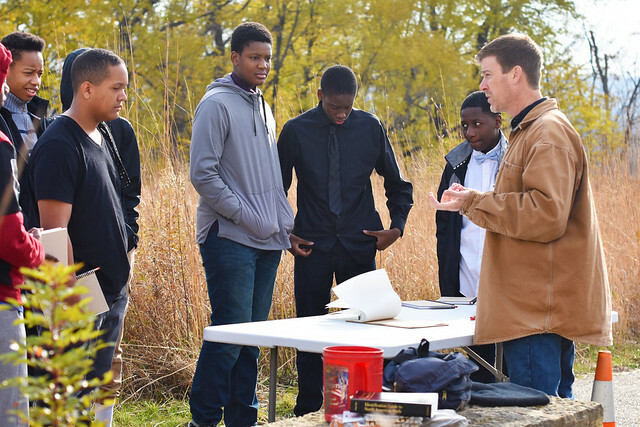 In October, about a dozen District 196 students joined peers from other schools to hear from wildlife biologist Jeramie Strickland. A native of Chicago, Strickland said his middle school counselor encouraged him to explore STEM (science, technology, engineering and math) courses. Strickland said he realized he had a knack for these subjects and would go on to win the school district and county science fairs. He developed his skills at Chicago High School for Agricultural Sciences, eventually earning a master’s degree.